Wells Fargo trusts in Soft dB Sound Masking System Again! Wells Fargo is a world renowned financial institution with a history dating back to 1852. 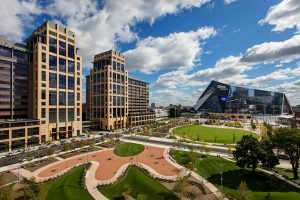 Recently, they inaugurated a new 1.1 million-square-foot corporate office complex in Minneapolis. 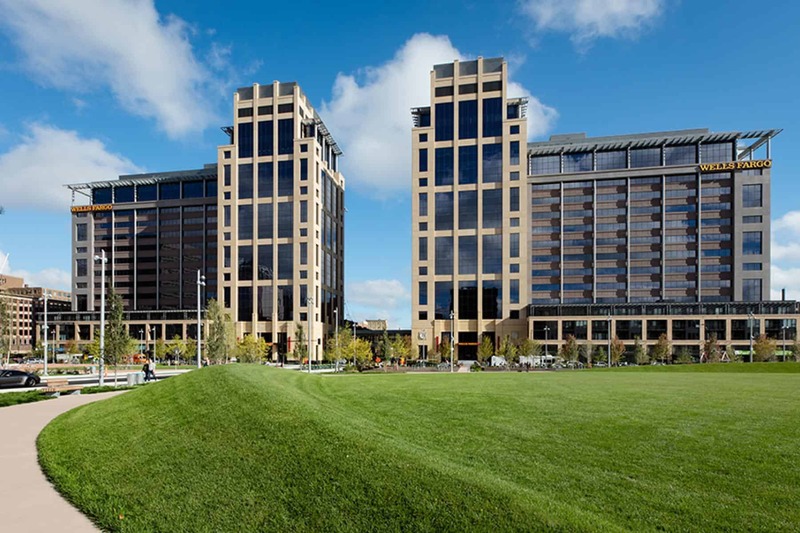 The new twin tower’s accomodate 5,000 employees, who are located mostly in a brand new open concept office area. Wells Fargo has been a long standing Soft dB sound masking customer. The management team decided to trust Soft dB and install the SmartSMS-Net sound masking system in all 21 floors. Thanks to Soft dB sound masking system and the patented adaptive control technology, Wells Fargo’s employees can focus on individual tasks with less distractions. Also, employees having phone conversations or meetings can speak more freely with less concern that their conversations are being overheard by the entire office. Soft dB has been recognized worldwide for its expertise in sound masking. Our company offers innovative products and services to improve productivity and working environments by optimizing acoustic comfort for commercial offices and health care facilities. Soft dB’s sound masking system SmartSMS-Net is a leading sound masking system that allows office workers around the world to enjoy more privacy, productivity and comfort. Soft dB’s products and services are sold in all continents to customers such as Wells Fargo, Suncor, IBM, Microsoft and Ernst & Young.